What makes the good levels good and the bad levels bad? There have been many "what are the best and worst Doom levels" style threads, but this one is a bit different. Rather than merely asking which levels are the best or worst, I want to ask you WHY you think said levels are the best and worst. What makes the best levels good in terms of layout and design, vs the less good ones? I personally love O of destruction in Doom 2. I can't really explain why. I just find the combination of height variation and circular design entertaining for some reason. A level is good when I have fun. ...but what makes it fun? I think one of the most important qualities of level design is pacing and supply rate. You could have an oops all archviles map and I wouldn't mind if you handled the escalation right and weren't bombarding me from the word go, and the same goes for the rate at which you hand me pickups like ammo and health etc. I think one of the most important qualities of level design is pacing and supply rate. But how does one define "pacing"? People use that word all the time but nobody ever explains what exactly this even means. + enemy usage and placement. That pretty much dictates the nature of the level and what it's going to take to finish it. I think it may also be about how the flow of the level looks like in terms of where the player goes. 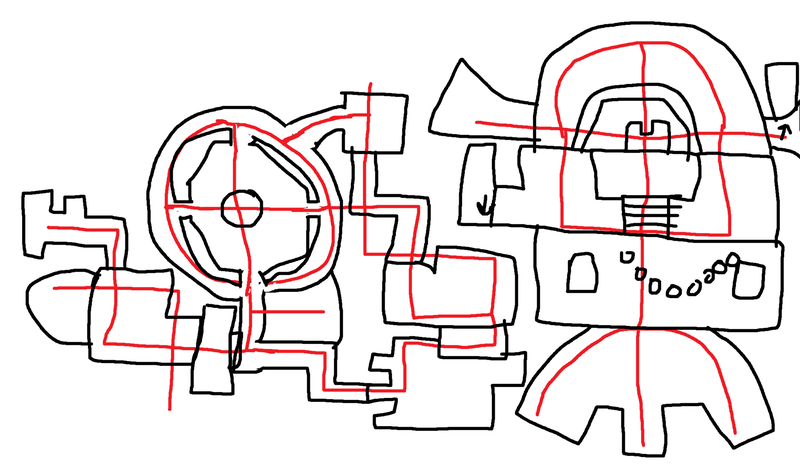 For example I just did an experiment in paint where I painted a bunch of red lines to indicate where the player can go and then sketched in some rooms around the lines. It looked pretty good actually for something that is just a crude sketch. I'd like to know this too. I hear it used everywhere; to me it seems like one of those buzzwords like "balanced" that everybody uses all the time but nobody really knows what it means. I think I kinda sorta get what people mean by it - something about how quickly or slowly the difficulty ramps up or the progression through the map or something like that... actually, I haven't a clue. Can someone give us a definitive definition of this vague, empty term? That's a fantastic idea! I'm having a lot of trouble coming up with decent layouts for maps, so I'm definitely gonna give this a go! But how does one define "pacing"? Can someone give us a definitive definition of this vague, empty term? Forgive me if I'm wrong, because I frankly don't know any better, but I get the impression you haven't put solid time into making maps yourself. I don't mean that to belittle you or say you're 'inexperienced' or something, I just mean that this question is really weird to me for a lot of reasons. What would you define as a "paced too slowly" or "too quickly?" Would those mean nothing like you imply "paced well" to mean? A skilled map maker can create an ebb and flow throughout their map by using big elaborate fights as bookends for smaller simpler fights that act as breathing room. The map layout and architecture isn't nearly as important here as what enemies you're fighting at a given time and where they are on the map, ie ambushing players on both sides is different from the alternative. You're question is weird to me because you're acting as though I never went into explaining what it meant my first go around, when I did with the line "You could have an oops all archviles map and I wouldn't mind if you handled the escalation right and weren't bombarding me from the word go" which was almost half of my post. It is not that simple however. The pacing is also influenced by the attack rate and speed of the enemies (in the cases where they are custom/new enemies which are slower/faster/weaker/stronger than the vanilla counterparts or entirely new), and how fast your weapons and/or your movement is, etc, there's more to it than just clever enemy placement and usage. Well, yeah, I guess it's all connected. I had something in my mind there but it didn't translate well into words. I'm going to leave it at that since, as it turns out, I myself don't really know what exactly I was trying to point out. For me, good levels show creativity and are relatively light. I've been deliberately vague with that sentence, because creativity can be expressed through novel game play, interesting settings, unusual progression and many other ways, whilst being light may mean that the level doesn't take itself seriously (through fun Easter eggs, or a whimsical story), it may mean it's generally bright and has good visibility or it has opposition that you go through easily/quickly. Good levels are, first and foremost, fun. This can be achieved by being fast-paced, or through having an engaging gimmick or just generally being interesting. As being "fast-paced" has a bit of a discussion around it, my personal take is that you either make the player move a lot (but with freedom), or you have relatively dense enemy placement of enemies the player feels powerful against. So blasting through lots of small groups of zombies with a chaingun and some armour is very fast-paced and generally pretty fun, as the player feels at risk from the enemy hitscans, yet can counter with his own quickly and get through individual, low-risk enemies quickly. Tanking through Cacodemons, Revenants and the like with a plasma rifle is also fun, because they pose a threat, but you can kill them quickly and keep going. The player is unlikely to get bogged down. That, neatly, leads me onto what is bad/not fun. A player that is hopelessly lost and has no understanding of where he needs to go, in an area he feels like he's already fully explored, is not having fun. This lack of direction bogs down progress. Likewise, extensive back-tracking through empty areas is not fun, because the action is being held away through needing to repeat something. Endless same-y rooms isn't fun, because novelty value makes new rooms/layouts/areas exciting and, without that, you are just going through the motions. A sense of progress gives the player a feeling of achievement and makes them want to keep going. A player who isn't achieving anything (either due to lack of direction, or repetition, or seemingly insurmountable or endless opposition) is going to lose interest, stop having fun and conclude that the map is bad. This is why I don't like overly choreographed game play or needlessly spiteful traps/ambushes. As I progress through a level, I want to feel like I'm winning the battle. If every single minor achievement (key collected, switch pressed, room entered, etc.) is responded to with an almost guaranteed death, I don't feel like I'm getting anywhere and have no inclination to keep going. If I start the map and am faced with a room full of death, I'm not going to keep trying until I work out the mappers intended progression, I'm going to stop playing immediately and find something more fun. I want an adventure, not a mechanical or technical challenge. That adventure may have some clever technical parts, but the overall progression needs to be a journey where I gain power as I make progress and feel like each level beaten or objective met is a step towards victory, rather than just another chance to be mercilessly killed. doors and switches flat with the wall, etc.are immediately dismissed. 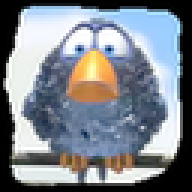 KDiZD 1.2, Paranoid, Ancient Aliens, WATERLAB, GENE_TECH, Eviternity, DoomRaider, etc. and more in the same vein, those I play again and again. Speaking as more of a player than a mapper (and also as someone sleep-deprived), one aspect that sets good and bad levels apart is an appropriate use of space. For a couple examples, I'll compare epic.wad Map05 to DTS-T Map27. Epic Map05 is a massive outdoor area dotted with ruins and other ancient structures. The space is not too massive and the structures aren't set too far apart, so you can reach your destinations fairly quickly. You may not know where to go when you start the map, but as you explore, you keep hitting switches and feel you're making expedient progress. Revenants, imps and other monsters will try to snipe you from higher platforms, and though they don't pose a threat at all times, their presence suggests you should keep moving. For a map of its size, it feels organic and engaging. From this comparison, you might intuit some lessons about monster placement and other aspects, but I wanted to focus on the space. As a player, I like having enough space to fight and explore, but not so much that a literal hike outdoors seems more appealing--nor so little that I'd rather sleep in a closet. * From a pistol start, you might run out of ammo, but this feels less like danger and more like an annoyance.